A little o' noun with galactic meaning. Home is wherever Charley and the girls are at the moment, but occasionally, my childhood home on the McKenzie River creeps into my heart and plays the strings there. It is these hot, surly days of summer when I miss my river home the most. 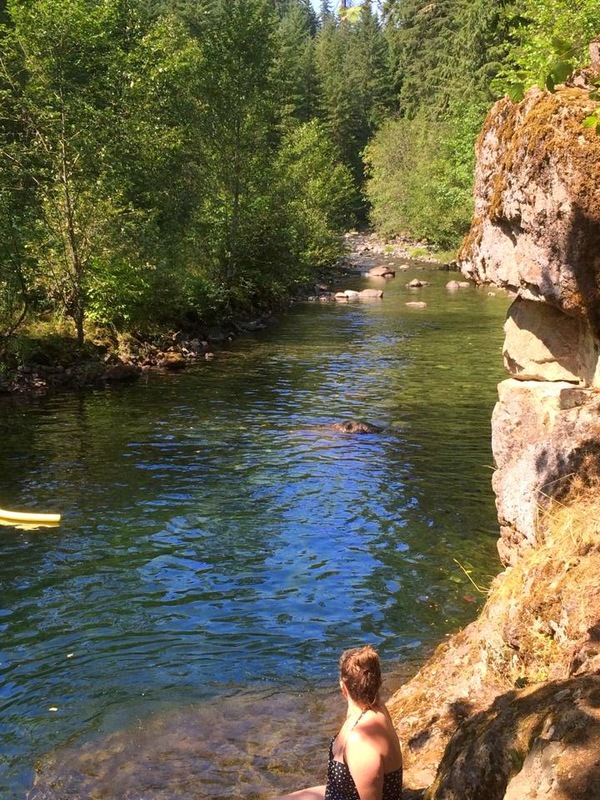 Summer, for us river kids of eighties, meant playing outside until dusk with the rest of the pack of free roaming kids, huge BBQs, and best of all, entire days spent at one of a dozen different swimming holes. My dad, a single father who worked too hard, was a tough person to be around some days. But summer days spent at the swimming hole, among friends as close as family, he was happy and light in a way usually wasn't. 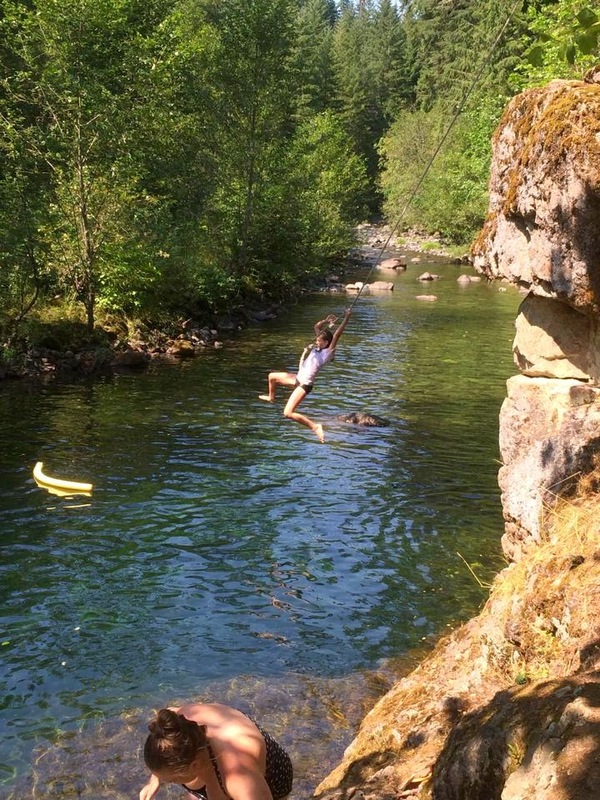 Of all our swimming holes, The Rope was my favorite. It was little more than a wide, deep-ish spot in a small river that drained into the Blue River Reservoir. The water was always very cold and very clear, leaving the colorful rocks and lost keys clearly visible through twenty-five or so feet of water. 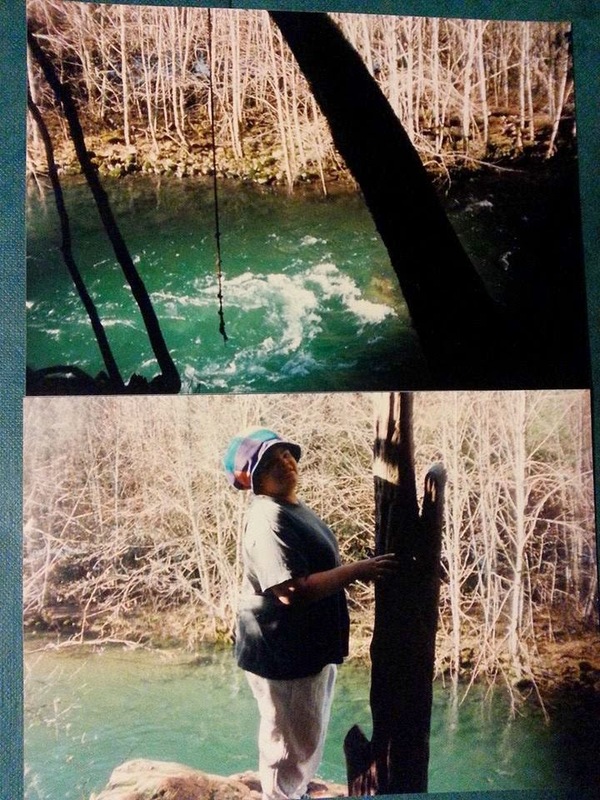 It was only the bodies hurling from the rope swing that could turn the pristine water opaque. On top of a high rocky ledge an alder tree grew almost horizontal over the hole to escape the shadows of the canopy. Tellis Lawson, a half-crazy Vietnam Vet, was the first person I can remember to shimmy the trunk and tie a rope. He tied in a few knots at the end for grip and it dangled just over a shallowly submerged rock shelf. At rest, it took a tall person to wade out on the shelf and, with a stretch, snag the rope. Next you climbed, barefoot and shivering, up the steeply sloped rock face, grabbed onto the highest knot, and swung out over the rock ledge, then at the apex of the swing, which for mid-way up the rock face was about middle of the hole, to drop. Timing was of paramount importance. As a teenager I became adept at diving off the rope; once I didn't angle the swing enough and as I went under, my hands touched the rocks of the opposite bank. I didn't make that mistake again. Although it was dangerous, in all my years swimming there, none of us were hurt worse than an arm slap from forgetting to tuck in your hands in. Once the water swirled passed the rocky ledges, the depth tapered off to form a designer little-kids' area. There were half submerged ledges for climbing and jumping, and a sheltered shallow pool, visible to the grown-ups reclining in the shade. Then suddenly the hole ends and creek returns. The whole area is less than half a football field. Our day was spent swinging off the rope until our hands were raw, jumping off rocks, pretending to drown each other (my brother was especially fond of this game, me—not so much), diving for rocks, and walking across the bottom holding heavy rocks, swimming to the opposite shore, and daring the younger ones to do likewise. And so we played until the grown-ups pulled us out with purple lips and chattering teeth. While waiting to warm up we raided the red Igloo cooler, stationed in the shade near the lawn chairs held in place by the grown-ups. I always marveled at how they could spend hours doing nothing but sitting in the shade talking. HOW BORING! Today, I can think of nothing more pleasant. After eating a PB&J and drinking a cup of red Kool-Aid, we were right back to the water's edge building miniature ponds to hold the minnows we caught. We'd watch them slip through the gaps in the stones, then rush to find smaller rocks and sand to plug the escape routes. After tiring of that, we'd scale up our construction endeavors and build a dam across the shallow, outflow end of the swimming hole. This would take several kids several hours to span the distance, which was not trivial. Our lifting muscles tired, our backs sore, it was time to float an air mattress, or an inner tube (the real black rubber ones that would get really hot and give you a contact rash all over), down the “rapids” (is there such a thing as class .1?) sometimes the water was too shallow, or rocks too plentiful, then we'd pick them up hop across the sun warmed rocks and go back in; all the way to reservoir. Soon, we'd worry that the adults were starting to worry, so back upstream we went, hauling our flotation device, hopping from rock to rock to rock—whoa that one was wobbly! We're back. We check in with the parents—all is good. Warmed by our exertions, it was time to jump back in the water. At some point during the day, the grown-ups would emerge from the shadows and go in for a swim. My dad, clad in too short cut-off jeans, usually took the trail up to the high rocks, that stood about fifteen feet above the water. He'd pause for a moment, stretch his arms wide, jump lightly, then fold in half, curving his head towards the water while bringing his hands to a point above his head and straightening his legs. He parted the water with a grace and precision that belied his six-foot-four, two-hundred-and-thirty pound frame. Re-emerging, he'd his shake his head and wipe his dripping mustache, and swim, arm over arm, to the rock shelf. A vestige of his privileged Southern California upbringing. All things considered, us kids got a better deal. The shadows grew long across the water. We drooped with unperceived fatigue. The adults folded up the lawn chairs; my dad hoisted the cooler up to his shoulder. Together, we trekked up the short, steep trail to the hidden parking area. We loaded ourselves into the back of the pickup and broke off branches laden with berries from a ten-foot-tall high wall of red huckleberries. We fought each other to sit on the wheel wells. The pickup rumbled to life and bumped out of the forest on to the paved road. My hair whipped my face and stung my eyes as I picked my huckleberry branch clean. Getting cold, I nestled into the cab of the truck, lifting my bottom off the truck bed floor when I anticipated big bumps. At home, I fell into bed and slept more deeply than I will ever again experience. And so passed the best summer days of my life. The Rope during the higher waters of winter. My brother liked to climb that stump and jump off that too. I climbed up there once, but could never work up the nerve to jump off. That cliff Nicole is standing on was good enough for me. Such a great spot. The cliff to the right is the one my Dad would dive off of.